Wise JetSearch is a free local file search tool which supports both NTFS and FAT drive. It's the best freeware alternative to Windows Search and Search Everything. 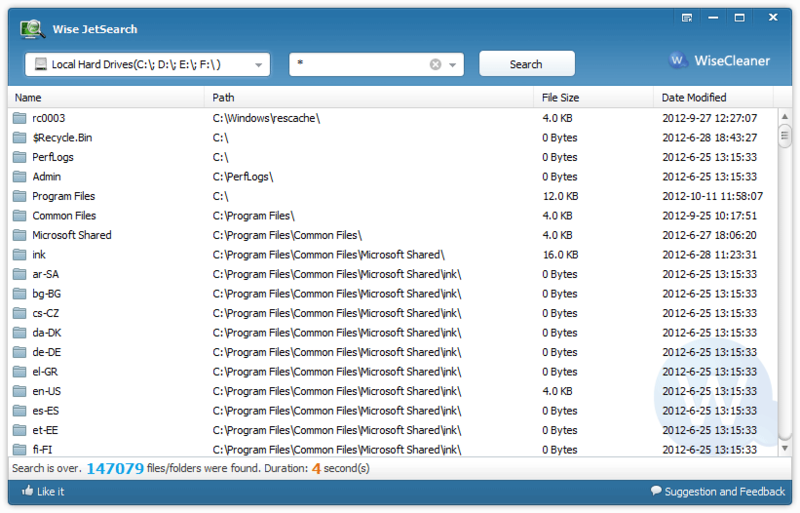 This freeware supports quick search for local files by name or wildcard.